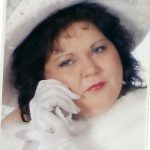 Mary Ann Lancaster, 61, passed away on Thursday, January 24, 2019. Survived by her daughter, Heather Breeden, 7 grandchildren and 2 great grandchildren and 3 brothers, Bobby Leonard (Juanita) of Toano, Jimmy Leonard (Becky) of Newport News and Jamey Leonard (Johnna) of Hampton. She is also survived by many nieces and nephews. A funeral service will be held at 1:00 PM on Thursday, January 31, 2019 in Amory Funeral Home Chapel. Interment will follow in Peninsula Memorial Park. The family will receive friends one hour prior to the service.